Every major city celebrates St. Patrick’s Day with an Irish-themed parade. However, this year in D.C., the St. Patrick’s Parade Committee cancelled the annual parade. The St. Patrick’s Parade Committee needed to make this decision due to the inability to cover the expenses required for security measures and street closures. The committee commented that the added costs resulted from the need for increased security following the 2016 terrorist attack in Nice, France where 85 people died during a Bastille Day celebration. The need for increased security from this attack caused an inability to gather enough funds that would account for these increased costs in preventive security measures. There is also a grant given by the government of Washington D.C. to help in the efforts to put on the parade, however the committee stated that it was no longer making a significant difference because of the increased cost of the preventative measures. “I didn’t know the parade was cancelled or even that D.C. had a St. Patrick’s Day Parade to be honest,” said Megan Crawford, a junior psychology major at Catholic University. She felt that the cancellation “disconnected D.C. from other major cities because every other major city did have a parade.” However she conceded that the cancellation was a good idea because we live in a world where terrorism is prevalent and that Washington D.C., as the nation’s capital, would be a major target for terrorist attacks. 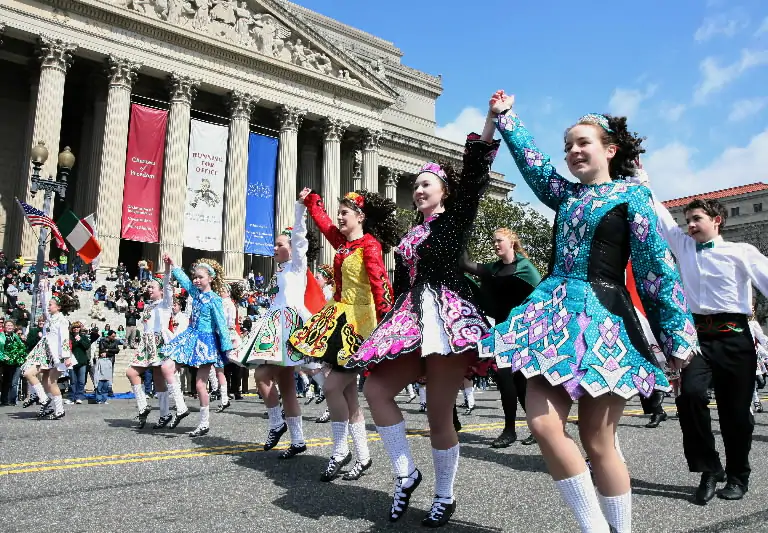 Though the parade could not celebrated this year, the St Patrick’s Day committee in Washington D.C. has begun a fundraiser in order to obtain the funds to run the the parade in 2020. This non-profit committee of all volunteers had many fundraising efforts in the past few months including events at The Harp and Fiddle Restaurant, Kelly’s Irish Times, and the upcoming 6th Annual St Patrick’s Parade Golf Tournament on May 17th. These efforts are being made because this committee is dedicated to celebrating the parade’s 50th anniversary next year. Additionally, the main members of this committee who were supposed to march in the parade were invited to march in the St Patrick’s Day Parade in New York that took place on March 16th.